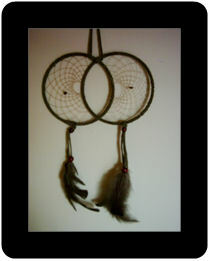 Dreamcatchers are found in many of the Native American tribes and customs. 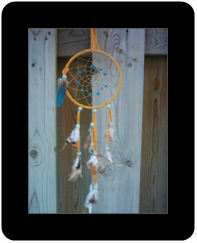 The stories and legends of the dreamcatcher may vary from one tribe to another, but the general basis is the same. 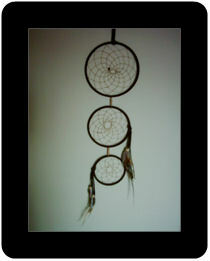 One of the legends is that the night air is filled with dreams - some good, some bad. 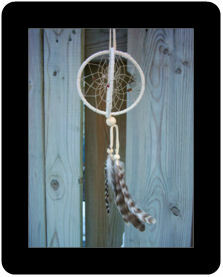 The dreamcatcher, when hung, moves freely in the air and catches the dreams as they float by. 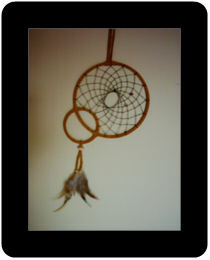 The good dreams know their way through the webbing, slip through the centre hole and drift down the feather into the sleeper. 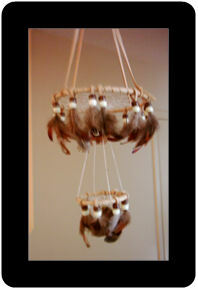 The bad dreams get caught up in the webbing and get burned away with the rising of the new sun. 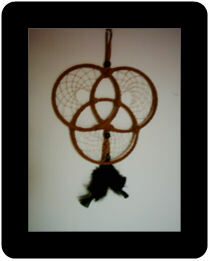 Mandelas are different then dreamcatchers. 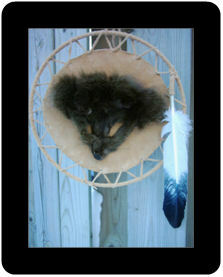 Some have webbing in them, but the majority of mandalas have fur in the centre. 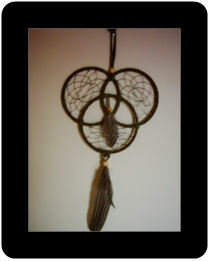 A mandela represents a shield of protection, survival and strong visions. 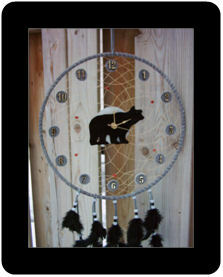 All of the dreamcatchers and mandelas are made using deerskin, moosehide and leather. 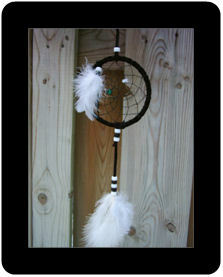 They come in a variety of colours and shades ranging from white to tan to brown to black - and a few 'unique' colours such as green, burgandy and blue. 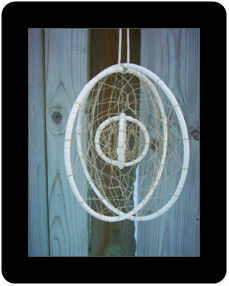 No two dreamcatchers or mandelas are alike. 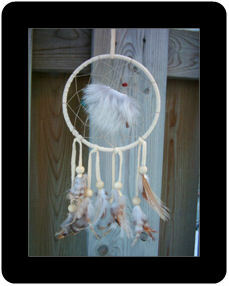 Every single one is handmade and all of them can be personalized by using different stones, gems and feathers. Some of the materials used are hard to come by and may have to be substituted - you will be contacted if that is the case prior to completing your order. If you do not see one that is right for you, please do not hesitate to Contact Us so that we may custom design one of your choice. 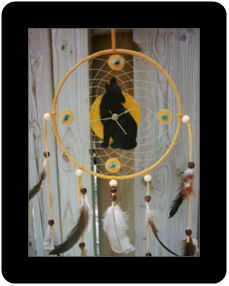 Different Native American tribes have their own stories and legends about dreamcatchers.